I am just an observer to this rally (Congress public meeting on April 8) since I happened to be in the vicinity. I can judge the support of Muslim community to Imran Masood. He is a very popular leader in the community because of his fierce comments against (Prime Minister Narendra) Modi. Mazloomo ki aawaz hain (he is the voice of the oppressed). In my opinion, Imran sahib is likely to win, even though the joint candidate from the Samajwadi Party-Bahujan Samaj is also Hazi (Fazulrahman) sahib. 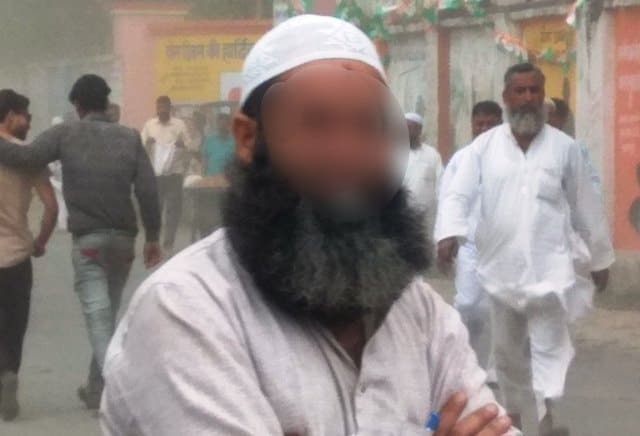 A day or two before, there was gathbandhan (the SP-BSP alliance) rally which was also attended by many Muslim voters. And I was worried a little that two Muslim candidates would mean division of votes. The Muslim voter must not allow its voter strength to be wasted. Taqseem nahi hona hai, taqseem karne waali taaqaton ko harana hai (we must not get divided; instead we have to defeat the divisive forces). Community leaders must guide the votes not to get carried away by punchy slogans and promises made in a rally. Once the results come, these leaders will forget what they had promised before the public. Similarly, a voter or a quom (community) also has to keep its self-interest in mind. BJP rule in the last five years have instilled a feeling of fear among the minority community. Never before were so many cases of cow vigilante had come. Muslims and many low-caste Hindu brothers lost their jobs after a crackdown on abattoirs in Uttar Pradesh. There were so many incidents of lynching on false pretext. Such incidents send a wrong signal to the minority community. We get worried when our children travel to other states on their own. Even in Vajpayee ki sarakar and Kalyan Singh ki sarkar, this fear never visited our minds. But the last five years have been traumatic. And with Yogi sarkar in UP now, things have only got worse. You should see the bike rallies by men wearing saffron headgears. They deliberately shout slogans whenever a mosque comes en route. Their sole purpose is to humiliate Muslims. Ask anyone. This is a universal feeling and a regular point of discussion in our community. I understand Muslims are used as votebanks. But do we have any other option than not to unitedly help a candidate who would listen to us, help us in getting our police complaints registered, give us protection or at least a sense of protection. Self-interest is back in the game. That is why you are not hearing the slogan sabka saath, sabka vikas this year. Are you?